Hold onto your butts! To announce their new augmented reality game Jurassic World Alive, NBCUniversal partnered with Ant Farm to create a live-action teaser that would stunningly reveal how Jurassic World…is now alive in our world! 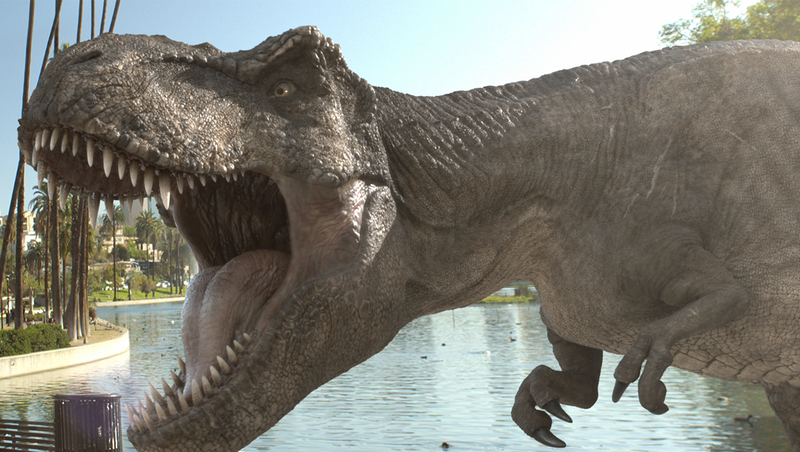 Shot specifically with VFX in mind, we worked closely with the client to bring Jurassic’s Tyrannosaurus Rex to life and ensure that its likeness accurately reflected the jaw-dropping details of the film’s most infamous dinosaur. Additionally, we created our own unique, foreboding twist on the iconic Jurassic World theme to get keen-eared viewers excited for the monstrous reveal to come.